A Hailey man could face up to 10 years in prison after pleading guilty Monday in Blaine County 5th District Court to selling a quarter pound of marijuana last year to an Idaho State Police confidential informant. 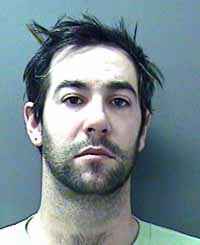 Sentencing was set for Feb. 28 for 29-year-old Frank Vincent Shields on a felony count of delivery of marijuana. Shields pleaded guilty to the crime in accord with a plea agreement with the Blaine County Prosecuting Attorney's Office, which agreed to have two other felony pot delivery charges dismissed. Shields was originally charged with the three crimes for separate quarter-pound sales of marijuana to the same ISP confidential informant in April, May and June. Felony delivery of marijuana is punishable by up to five years in prison, but Judge Robert J. Elgee advised Shields that he can double the penalty because of a sentence enhancement charge that Shields also admitted to at Monday's court hearing. Deputy Prosecuting Attorney Matt Fredback said the enhancement charge was applied to the case because Shields has two prior felony marijuana convictions in Oregon in 2006 and 2007. In accord with the plea agreement, Fredback said the Prosecuting Attorney's Office will recommend that Shields receive an eight-year suspended prison sentence, be sentenced to up to a year on the state's "rider program" and be placed on probation for five years. Under the rider program, convicted felons are offered the opportunity for rehabilitation at the North Idaho Correctional Institution in Cottonwood.